Asian carp were brought to the United Sates in the 60s and 70s for use in government agency and academic research, in sewage treatment plants; and as a biological control for algae, plants and snails in aquaculture. Since then, these nonnative fish escaped these environments and spread rampantly through the fresh waterways of the Mississippi River Basin. Now they are pushing the boundaries of the Great Lakes and entering Louisiana’s Gulf Coast, threatening multi-billion-dollar fishing industries. Their destruction continues at an alarming rate, leaving native ecosystems demolished, commercial fisheries in despair, and countless livelihoods crippled. Since their diet coincides with that of certain native species, they are powerful ecological competitors. In fact, they have the potential to displace and/or consume native populations of fishes, plants mollusks, and other invertebrates, causing devastating ecological and economic impacts to commercial fisheries. Debate remains as to exactly when and how silvers and bigheads escaped into the Mississippi River Basin. Let’s look through the annals of history to find out how these ancient farmed fish became modern day menaces. 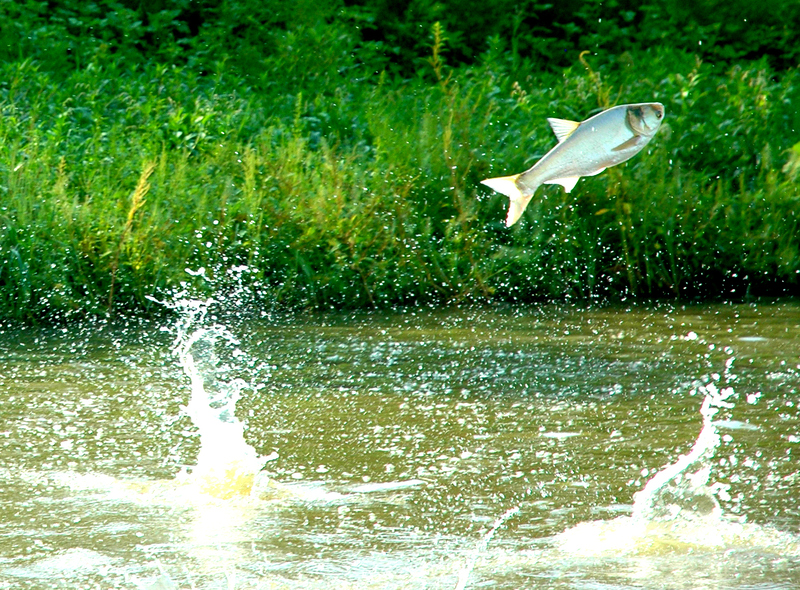 Today, many believe that Asian carp escaped from fish farms in Arkansas. In the 1970s, the first documented Asian carp, most notably silver and bighead, were brought to the United States by Jim Malone, a fish farmer from Lonoke, Arkansas. 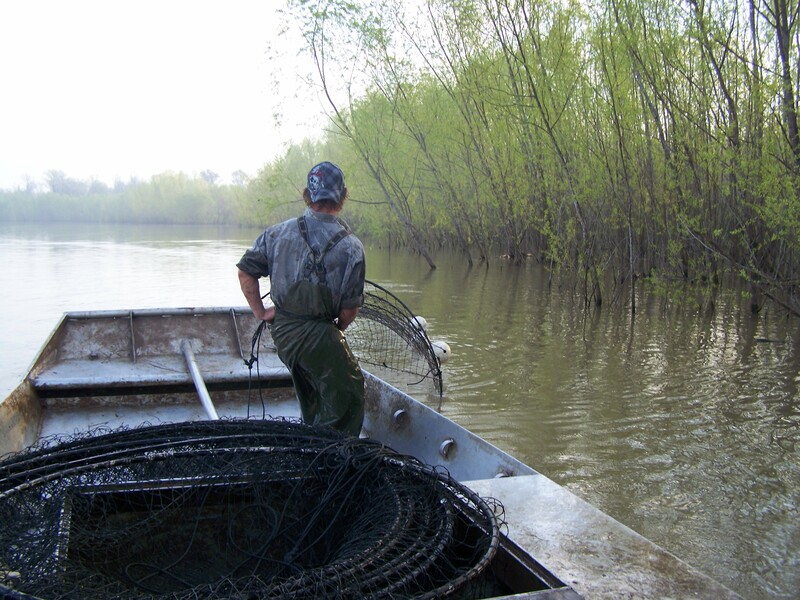 When the Mississippi River was hit by severe flooding in both the 1970s and 1990s, and thousands of Asian carp fled into the Mississippi River basin, it became popular opinion that Arkansas fish farmers were to blame for their escape. 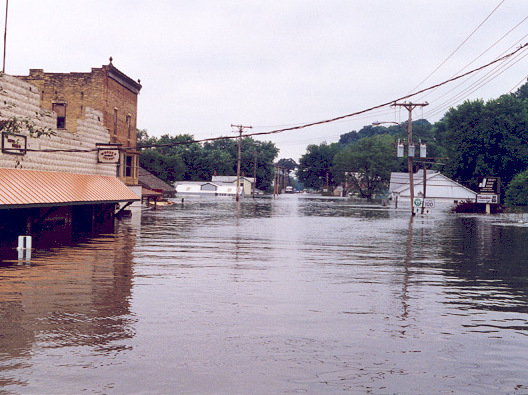 Photo by United States Geological Survey, The Great Flood of 1993, Grafton, Ill. While it remains likely that these floods did contribute to the widespread distribution of Asian carp, history reveals a very different fish story as to how silvers and bigheads initially spread through the fresh waterways. 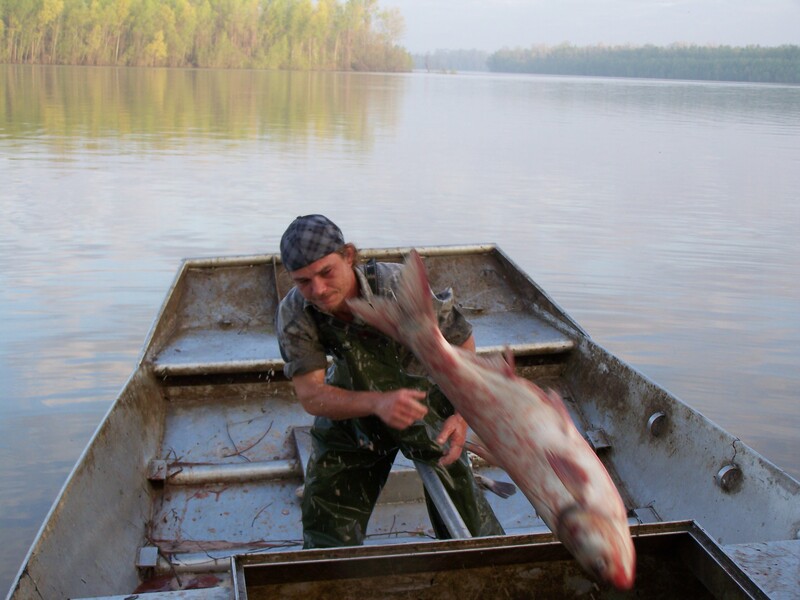 “The idea in many minds that Asian carp escaped from Arkansas fish farms made it an easy sell in Congress to target their product and turn it into a felony,” said Dr. Carole Engle, Director of Aquaculture at the University of Arkansas at Pine Bluff. “Arkansas fish farmers have been blamed for everything,” she said. Although it is true that Jim Malone brought in the first documented Asian carp in the early 1970s, he actually gave the fish primarily to various government agencies for experimentation, such as the Environmental Protection Agency (EPA), the Arkansas Game and Fish Commission and the U.S. Fish and Wildlife Service. 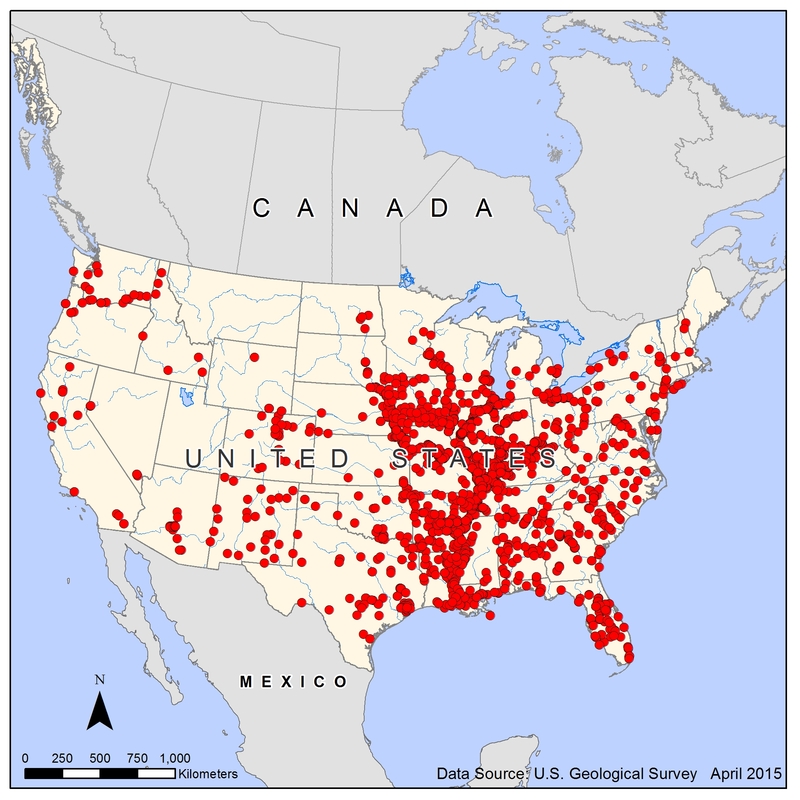 Auburn University in Alabama and the Illinois Natural History Survey also received some of his fish too. These organizations used the Asian carp to conduct research to determine whether the fish could be stocked in sewage ponds to clean them, and in other types of ponds to eat aquatic vegetation. The fish were a less expensive, more natural biological control in ponds than harsh chemicals. The EPA researched bighead and silver carp in sewage ponds for two years, starting in 1979, in Benton, Ark. The carp “made the water clean enough to drink,” said Mike Freeze, a fish farmer and fish biologist who once worked for the Arkansas Game and Fish Commission. “When small towns in Arkansas couldn’t meet EPA requirements for clean water discharged from their sewer plants, the agency required them to stock the carp to clean up those ponds,” Freeze said. Freeze, who led research on the carp between 1977 and 1983, said he’s certain some of the carp escaped on his watch. “We know we lost fish from our facilities,” he said, referring to the Game and Fish Commission. “We should have known we were playing with fire,” Freeze said, adding that because silver carp can be so jumpy, compared with the calmer bighead, fish farmers never raised silver carp. “Those fish (silver), which are almost as abundant in the wild as bighead, definitely didn’t escape from fish farms,” he said. 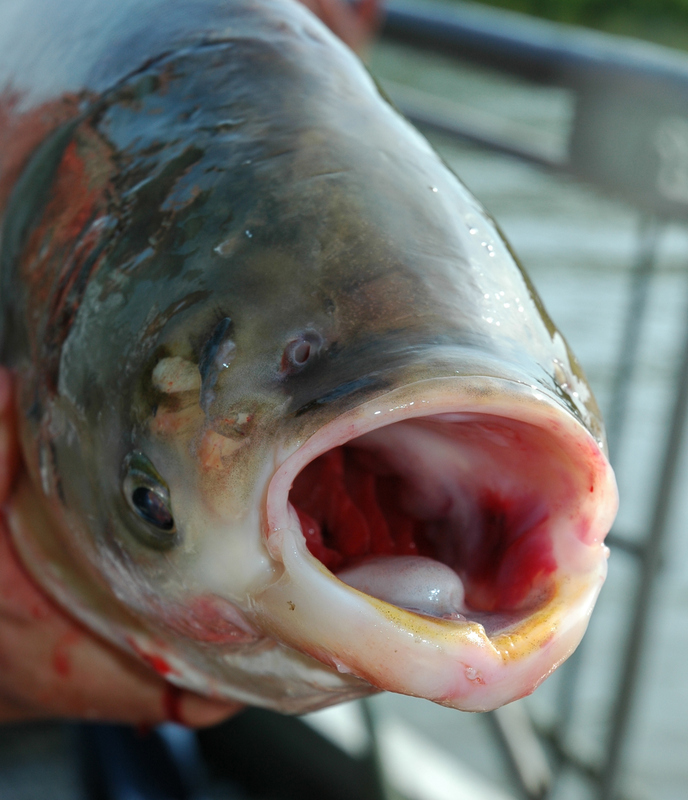 And, according to the US Geological Survey, several thousand bighead carp escaped from a fish farm during floods in 1994. But the farm wasn’t in Arkansas — rather, it was next to the Osage River near Lake of the Ozarks, MO.